Have You Tried Iconic French Wines at the Vancouver International Wine Festival? And of equal importance in this seminar we had a winery principal to talk about their wine and the region. Let’s learn about them now. ClovisTaittinger, son of Pierre-Emmanuel Taittinger, spoke to us about the history of their family in Champagne. Clovis is quite a humble, self-effacing and funny man. They are quite a young Champagne house. According to Clovis, many years ago when his grandfather began growing grapes in Champagne, Chardonnay was not hardy enough to withstand the winters. Over time, (and global temperature rising), it did become feasible to grow Champagne. 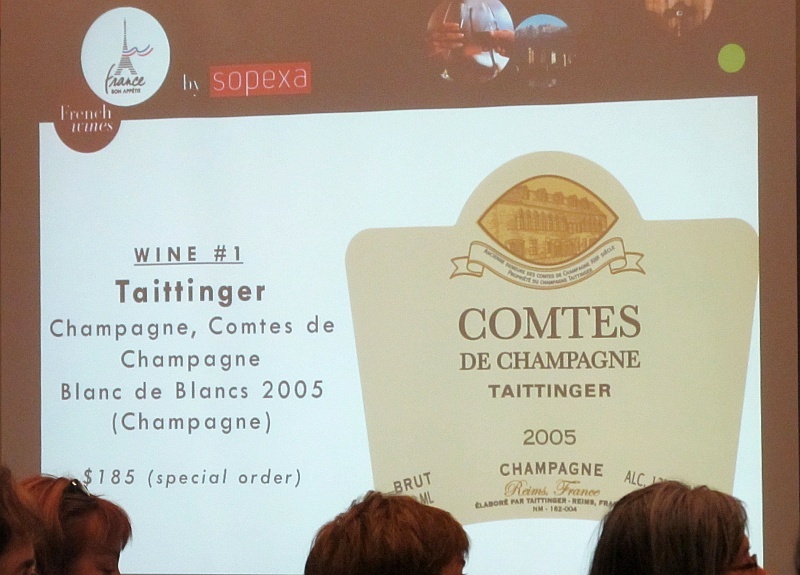 Champagne Tatttinger was the first winery to produce a Blanc de Blancs Champagne (made from 100% Chardonnay grapes), after Second World War in the modern era of Champagne. Champagne Taittinger. Comtes de Champagne, Blanc de Blancs. 2005 – Light citrus and bready on the nose. High acidity with citrus and oak flavour, together with some vanilla and almond. Dry with a long length. A beautiful wine, and one of my favourites. Olivier Rivain, Sales Director for Domaine Joseph spoke to us. Pierre Etienne he noted was the founder of this Domaine. The family starting the Domaine in 1513, and last year was its 500 year anniversary. 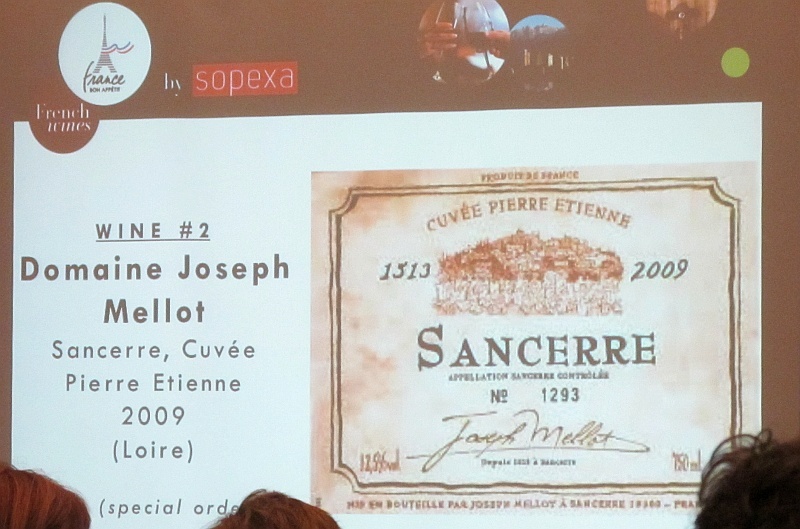 This wine comes from the historical site of Sancerre itself. The south side of the village, located on 2 slopes. The wine (from Sauvignon Blanc grapes) comes from 100% of the flint side of the Appellation. To note, only 15% of the Appellation has flint. This is a barrel fermented wine, while most Sancerre is stainless steel fermented (99%). After barrel fermenting, the wine is placed in stainless steel for another year of maturation, to better integrate the oak flavours into the wine. Domaine Joseph Mellot. Sancerre. Cuvee Pierre Etienne, Loire. 2009 – Nice ripe stonefruit nose. Round and full bodied with ripe honey, stonefruit, melon and vanilla flavours. It has a stony, flinty finish. Fantastic. Complex and rich. Another favourite wine. Established in 1936, Gabriel Meffre is a negociant based in Gigondas in the heart of the southern Rhone Valley. They also have a property in the Cotes de Provence. 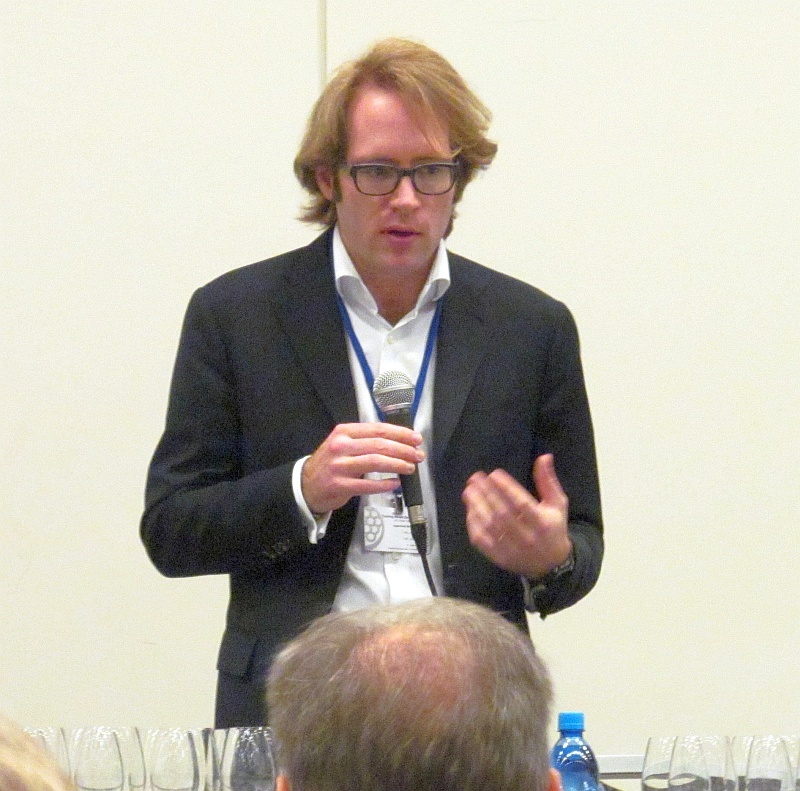 Our speaker was Anthony Taylor, Director of PR & Head Sommelier. This region is known for their roses and while many may not be not too exciting, there has been in the last 10 years a push toward more quality and understanding of terroir. The vineyard for this wine comes from an area near Aix en Provence. The grapes are harvested in the evening and early morning when the grapes are cool. The wine is fermented at a very cool temperature for a short period of time giving it great freshness, and exciting lively character with minerality. Gabriel Meffre. Cotes de Provence Rose. Provence. 2012 – Light cherry and red fruit aromas. Light body, dry and soft with strawberries and some minerality. This Rose is a blend of 75% Grenache and 25% Syrah. 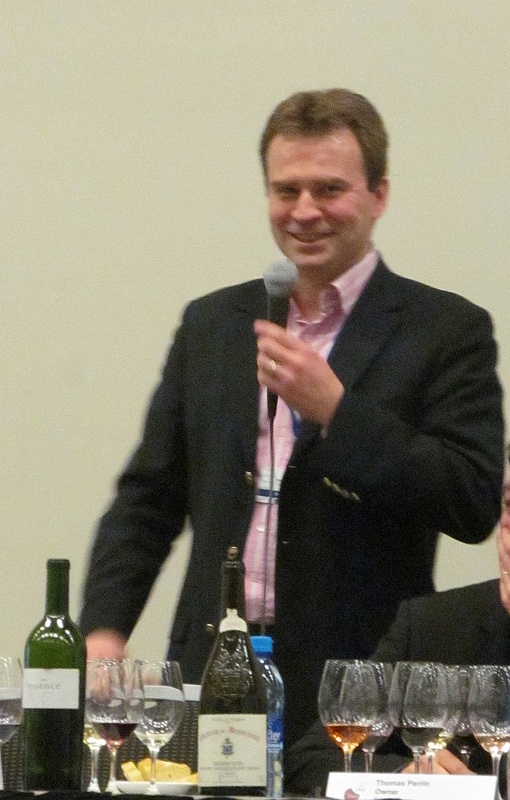 Etienne Hugel, Proprietor of Hugel & Fils, was our next very lively and entertaining speaker. Founded in 1672, the Hugel family estate covers more than 25 hectares, almost half are in the Grand Cru zone. The winery has passed through 12 generations. Canada is in their top 3 export markets of the world. Etienne noted their wines are very well suited to Asian foods, and how well their wines are selling in China. This wine is named after his late Uncle who passed away in 2009. It is a one-off wine made for Jean Hugel. It has 35 grams of sugar, which can be quite overpowering but is well balanced by the fruit and acidity. The grapes were picked with some botrytis. This white wine has amazing freshness, purity and depth and the sugar has integrated very well, and proves that you can age white wine. 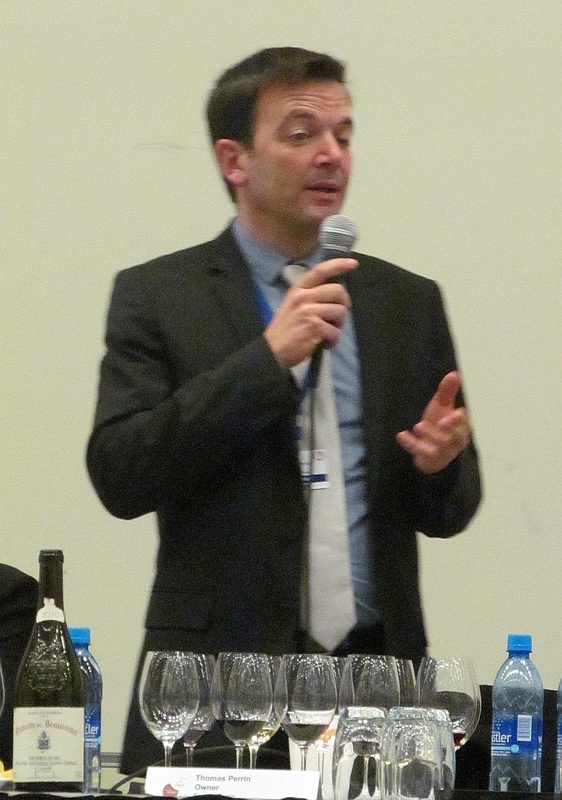 Etienne noted that 1998 was a great year for wine in Alsace. Hugel & Fils. 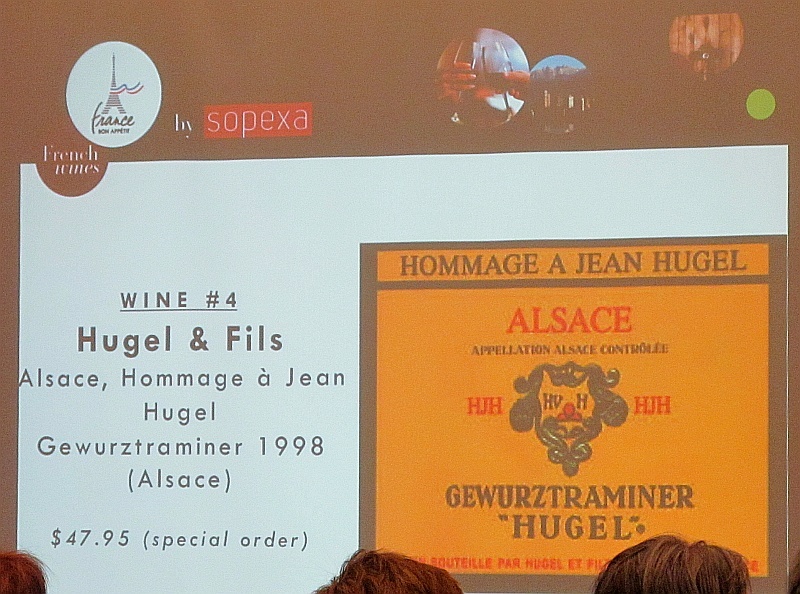 Alsace, Hommage a Jean Hugel, Gewurztraminer. 1998 – Quite deep golden colour. Nice lychee, peaches and roses on the nose. Medium body, off dry and silky on the palate, with flavours of sweet spice, honey and stonefruit. It has round sweetness similar to an icewine but with a lighter feel. Almost like a late harvest. An amazing wine. 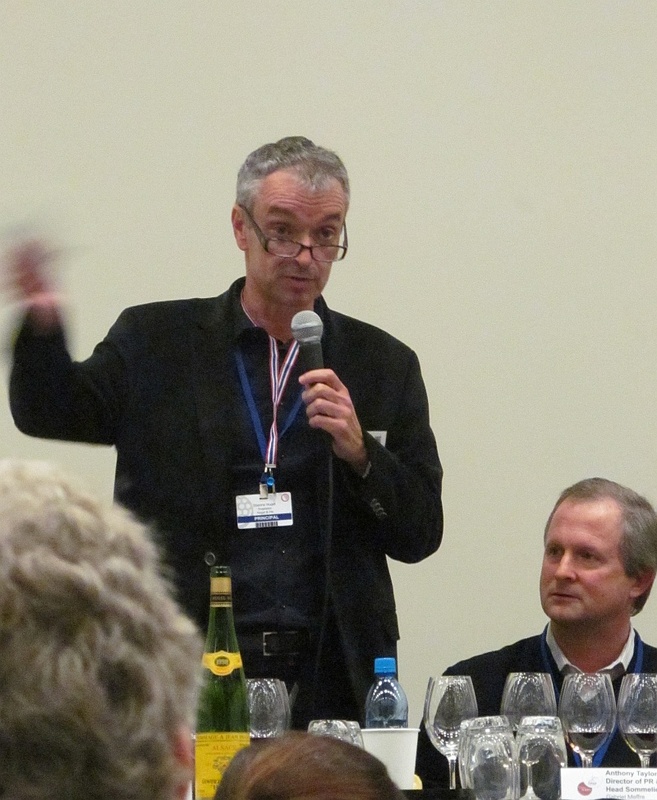 Laurent Gamonet, Duboeuf Brand Ambassador spoke to us about Beaujolais. Georges Duboeuf began delivering wines in 1951 and is now one of the largest and best known wine merchants in France. He is still alive, in his 80s. 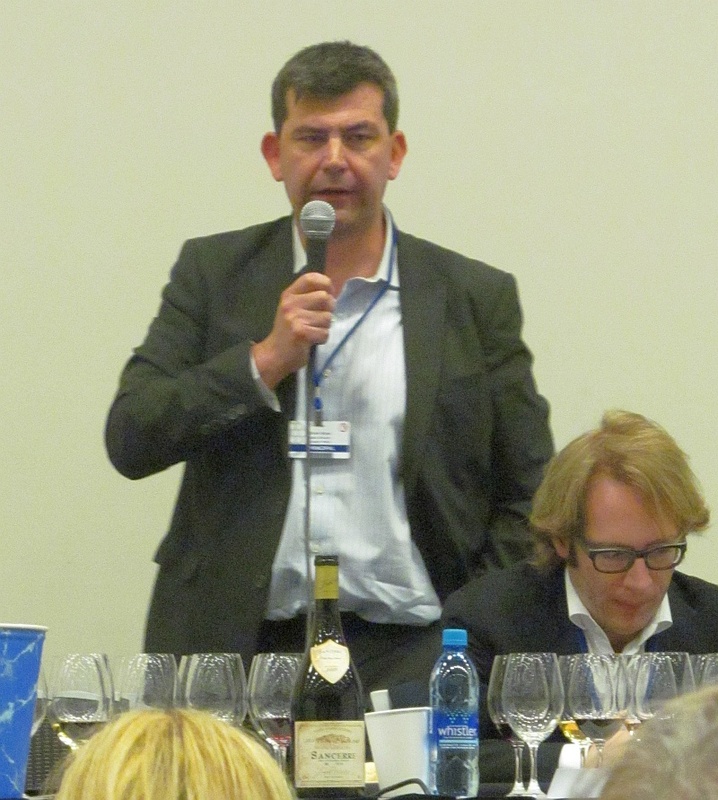 Laurent said that Georges has tried to give his customers the authenticity of the Beaujolais Crus from the Gamay Noir grape. The region is only 55km north to south and 13km east to west, so very small, and within has 10 Crus. 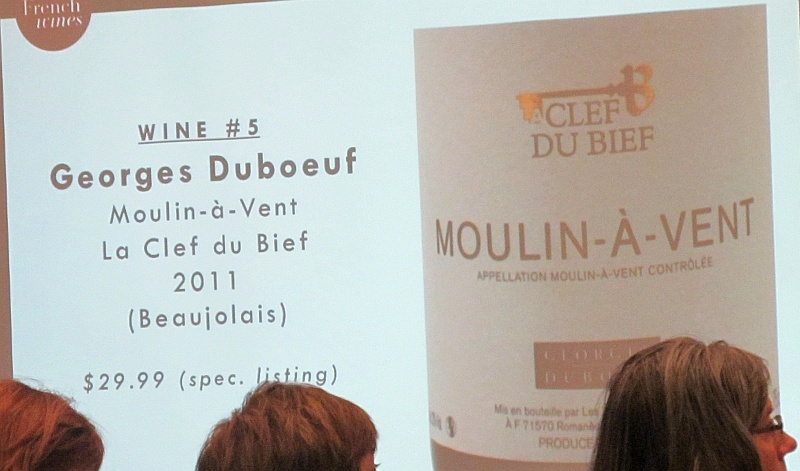 Moulin-a-Vent is the most promient Cru and is said to produce the most masculine wine. The wines of Beaujolais are whole cluster fermented in a carbon dioxide rich environment (known as Carbonic Maceration), creating unique fruity and floral aromas, and reducing the tannins. 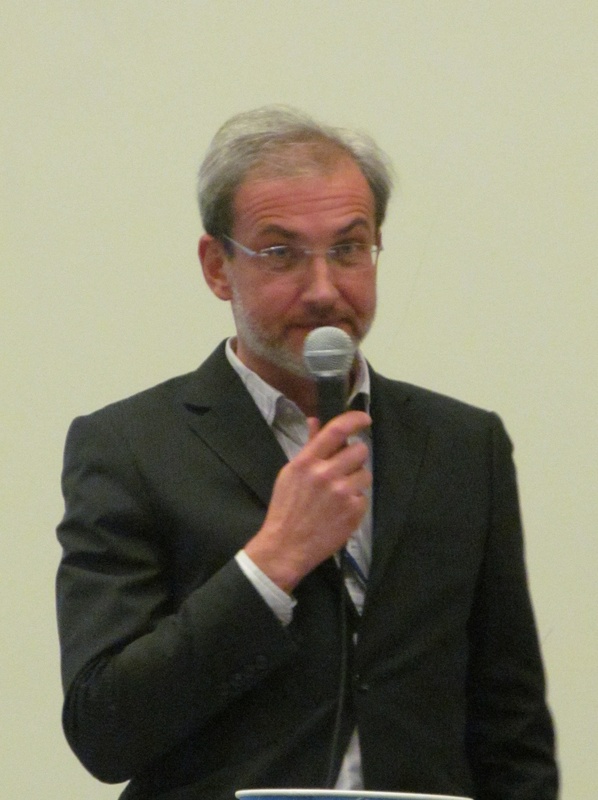 Georges Duboeuf. Moulin-a-Vent. La Clef du Bief, Beaujolais. 2011 – Red fruit with a candied cherries coming from the carbonic maceration fermentation process. Medium minus body, candied cherries, vanilla and a hint of spice on the palate. Dry with soft tannins and medium acidity. 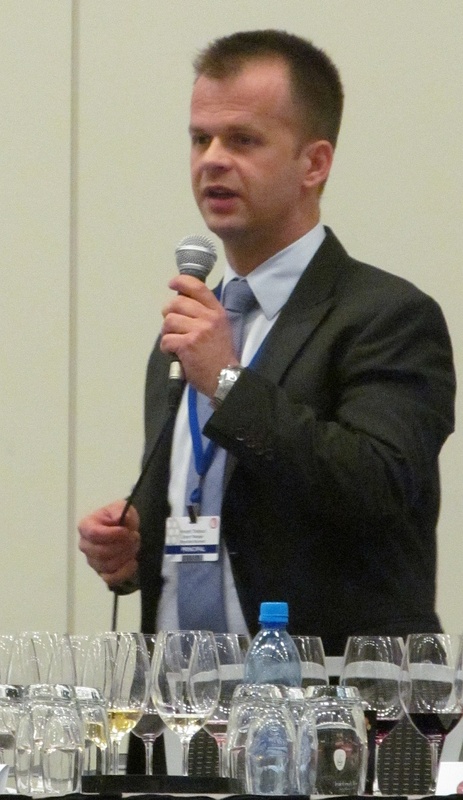 Sigfried Pic, International Export Director, spoke to us today. Maison Louis Jadot controls 210 hectares in Burgundy across the region and into Beaujolais. The Clos des Ursules vineyard once belonged to the Church and in 1826 came into the hands of Maison Louis Jadot. This is their most famous vineyard, 2 ha in size. The vineyard has both limestone and clay (clay coming from the decomposed limestone). This wine is very young and with time will develop more flavours. Limestone provides minerality to the wine. Sigfried recommended waiting 8-10 years before drinking this wine, in order to experience the best of the wines aromas and flavours. Maison Louis Jadot. Beaune 1er Cru, Clos des Ursules, Bourgogne. 2010 – Very light cherry nose. Mineral, salty, sour cherries, followed by vanilla and spice on the palate. After a bit of time and re-tasting, I detected darker fruit aromas, and more oak and riper cherry flavours. One of the interesting things about Pinot Noir in Burgundy is how much the wine aromas and flavours change in the glass. This wine could easily age for another 8-10 years. 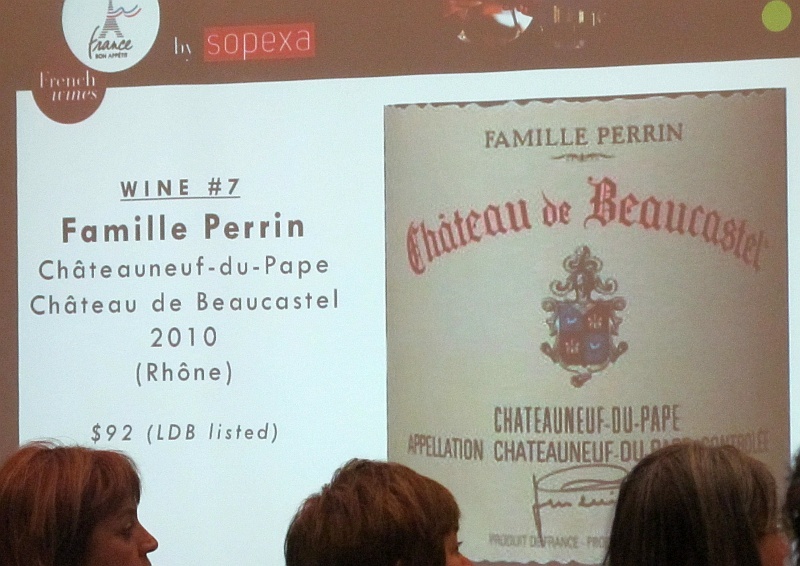 Famille Perrin is an organic wine producer (starting 1962) in the southern Rhone Valley. 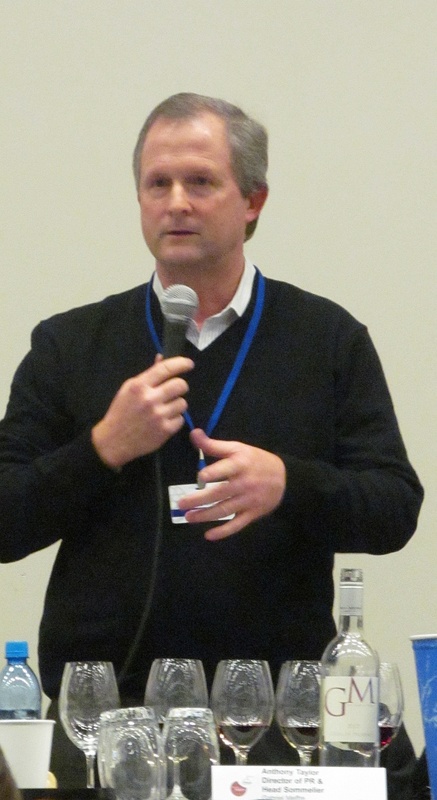 Our speaker was the owner Thomas Perrin. Thomas came to tell us about Chateauneuf-du-Pape. It is a particular terroir, with galettes (river stones) covering the soil. The area does not receive much rain, gets 300 days of sun, and 100 days of wind (the Mistral). The wind dries the grapes to minimize disease, and of course the sun to ripen the grapes. The minimal rain they do receive absorbs into the clay and chalk soil. When it is sunny, the stones reflect the sun so that the soil does not dry out. Did you know that Chateauneuf-du-Pape was the first Appellation Controllee in 1936 in France? One of the rules is that they are allowed to plant 13 different grapes, and you can use as many of these grapes in Chateauneuf-du-Pape. Traditionally all 13 grape types were used, but it is not as common now. Famille Perrin still uses all 13 grapes in their wine. Thomas noted that to their family, the soil is most important and going organic is the only way to bring life to vineyards and for the grapes to express terroir. Famille Perrin. Chateauneuf-du-Pape,Chateau de Beaucastel. Rhone. 2010 – Ripe cassis and sausage aromas. Medium plus body. Round with ripe purple fruit and some flowers. Dry puckering finish. Another wine that could age another 10 years before first drinking. 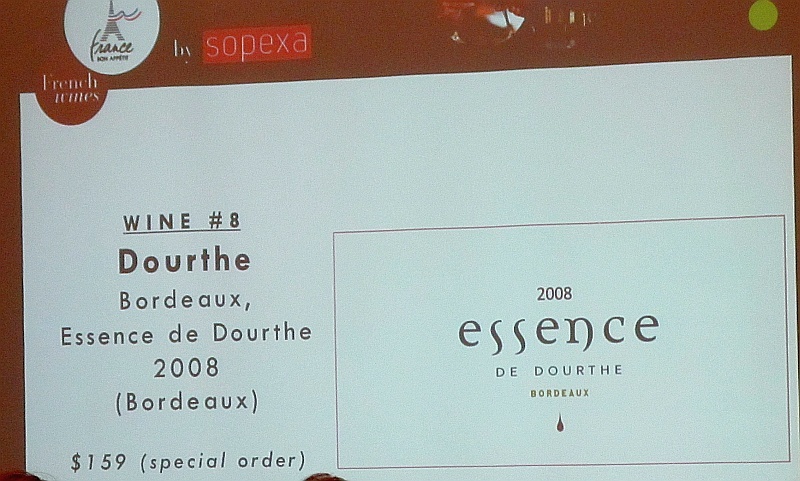 Jean-Baptiste Prot, Export Director spoke to us about Dourthe. Dourthe is a family company, founded in 1840. The “Essence de Dourthe” is a program starting in 2000. The grapes for this wine comes from 5 different Chateaus, in different Appellations, within Bordeaux, and each are feremented separately before being blended. They selected 40 ha in total from specific vineyards and told the vineyard managers that they can manage these specific vines the best way for them, and to not worry about the budget. Some vineyards are organic, and others are biodynamic. Only 180 barrels of wine are produced from all these grapes, and from these barrels a blend is selected that best shows the terroir. Dourthe. Bordeaux. Essence de Dourthe. 2008 – Opaque colour in the glass. Ripe black fruit and vanilla on the nose. Full body, soft and mouth filling with dark, ripe fruit, cassis, and vanilla. Medium plus tannins and some minerality. A very fruit forward style. Vignobles Brumont is situated in Southwestern France in the Madiran, which is best known for the red Tannat grape. 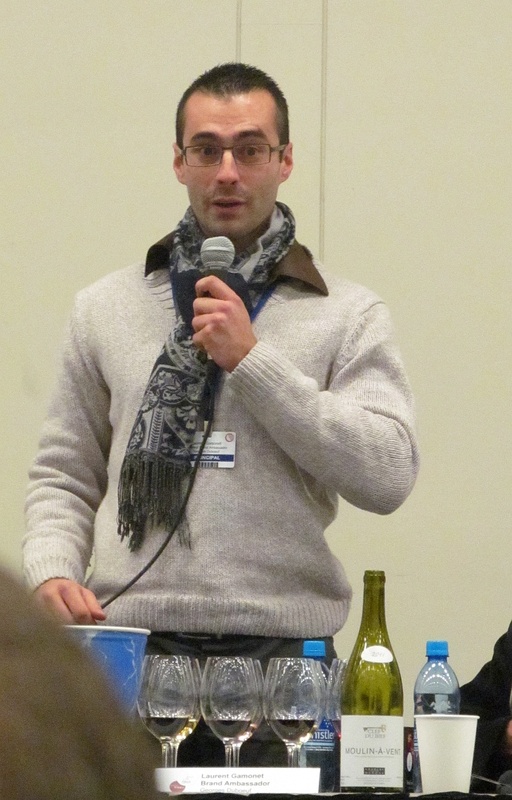 Our speaker Vincent Thebaud, Export Manager, talked to us about this wine, and region, which are not very well-known. The region is only 2 hrs from Bordeaux. 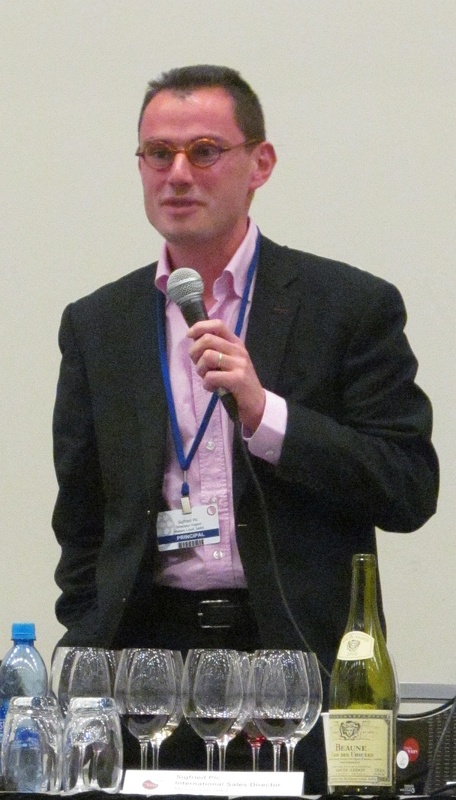 Alan Brumont was the pioneer in the potential of Tannat in Madiran. The grape is known for it’s very strong tannins, and the wine requires many years for the tannins to soften. Alan was the first person to produce 100% Tannat wine in this region with 100% new oak barrels. The fall time is special to the Madiran, where it gets a long Indian summer, from September to November, allowing the grapes the ripen over a long time. Vincent noted that 2002 was an excellent vintage due to the Indian summer. Vignobles Brumont. Madiran. 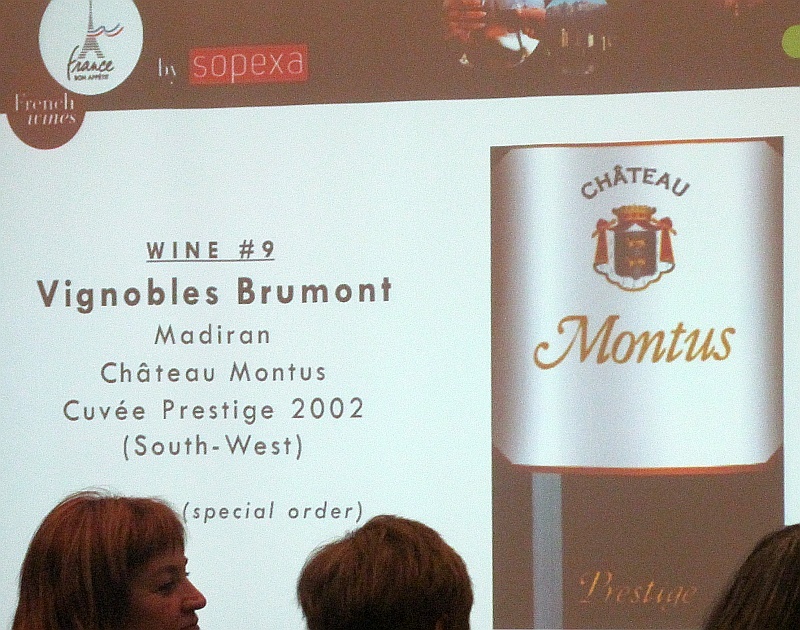 Chateau Montus Cuvee Prestige. Southwest France. 2002 – Dark fruit and apples on the nose. Full body, round with bright fruit flavours, yet had a light mouth feel. Dark fruit and spice on the palate. Higher acidity. Very tannic finish. A very concentrated wine. Vicent noted that this wine could age another 10-20 years (so 24-44 years in total!). Tom Warner, International Export Director, was quite a fun speaker, talking about the laid back people of this region, which are part from Catalonia, Spain and part from France (French Catalonia). Chateau de Jau was founded in 1792 in the foothills of the Corbieres Mountains in the Cotes du Roussillon in southern France. Tom mentioned it takes about 1 month to produce this sweet wine, and 11 months to be relaxed and enjoy life. The vineyards of Roussillon have been dedicated to make sweet wines using the Grenache Blanc 80% and 20% Macabeo (a Spanish variety) grapes. The grapes are manually picked then fermentation being. Grape spirit is added to stop fermentation and set the sugar level (to the desired level of sweetness). This wine is then placed in barrels, with 20% coming from the Cognac region. Finally they wait 36 months for the wines to age in barrels before being bottled. France’s answer to Tawny Port, liquid gold in the glass. Chateau de Jau. Rivesaltes Ambre, Roussillon. 2007 – A blend of 80% Grenache Blanc and 20% Macabeo. Light orange colour in the glass. Nice nose with some dried fruit and nose. Wow, lots of flavour of spices, dried fruits and vanilla. Super tasty. Sweet with layers of flavour. The medium acidity helps to dry out the wine on the finish. One of my favourite wines of this seminar.